ESL Course in Hawaii @ Bright Beginnings! Learn English! Smallest class! 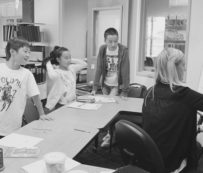 Bright Beginnings mission is to provide young students and adults an engaging and fun environment to learn, whereby students can confidentially learn and grow. We hope to instill a foundation for life long learning by allowing students to express their thoughts confidentially without fear. 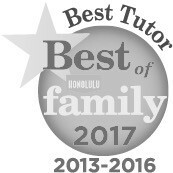 Our program offers a balance of small class room instruction and fun-filled excursions, exploring the beautiful island of Hawaii. We take pride in our program and we look forward to providing you with the ultimate learning experience with memories that will last a life time! Enrollment is open for winter, spring and summer camps. This year we have many new fun programs from Hawaii where students make new friends while exploring the Magic of Hawaii!! For over 30 years, we have been part of the Hawaii Ohana earning the trust of thousands of families across generations! We target 4 students per teacher. We group children according to their English levels and needs. Make friends at camp & meet local children at our Center. Everyday fun activities exploring the magic of Hawaii!